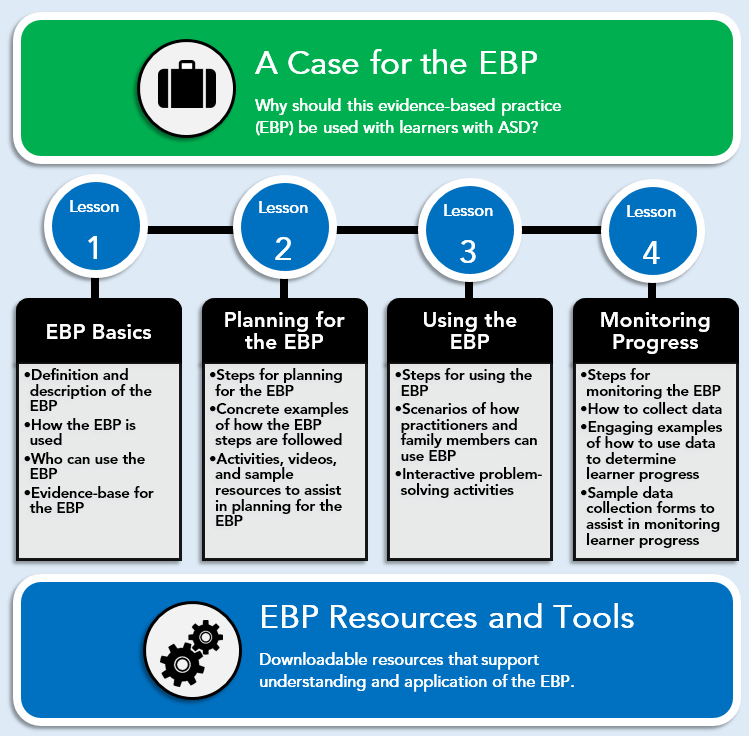 Each AFIRM module focuses on an evidence-based practice (EBP) for learners with ASD and has a four lesson structure that includes engaging case examples, videos, and interactive assessments. applying the EBP in activity-based scenarios that promote real-world application. The Council for Exceptional Children (CEC) created Standards for professionals working with children and youth with autism spectrum disorder (ASD). View the CEC standards that apply to all 27 evidence-based practices. CEC Standards that apply specifically to the each practice are provided within each module as a resource document. 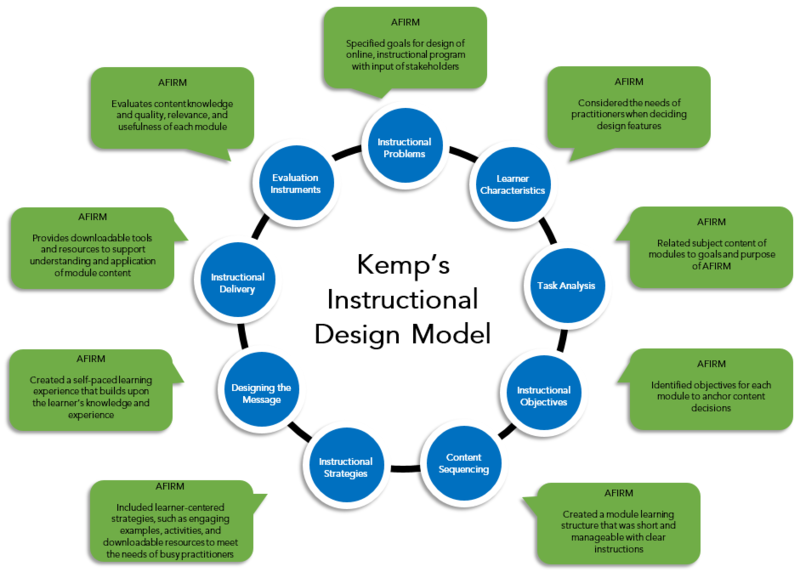 Kemp’s Instructional Design Model provided the foundational structure for the AFIRM development process. This model identifies 9 learner-centered components that are especially useful for technology-based instructional programs and adult learners. The AFIRM module learning structure, which is described above, emerged from following this design model. A description of how each model element was applied to the AFIRM module development process can be viewed on the AFIRM Instructional Design Diagram.